Alliance members are innovators and entrepreneurs. Creative development and design runs through their veins and their work contributes every day to the digital economy. Here, you can learn more about the our Startup and Associate members, interesting and fun facts about their business, what projects they're working on, and how policy and regulation impacts their business practices and why it has led them to joining the Alliance. Quorum is a public affairs software platform enabling organizations to run grassroots advocacy campaigns and stakeholder engagement. They joined the Alliance in 2016 and is based out of Washington, DC where the Alliance is also headquartered. Quorum is focused on free flow of data in the public policy space in order to better serve its users. appScatter offers audience reach, efficient app management, and centralized reporting for developers and global brands to manage their app portfolios. appScatter joined the Alliance in summer of 2016 and landed on the London Stock Exchange in fall of 2017. Now, they're preparing for the enforcement of the GDPR and how to protect user data and ensure it is available upon user request. 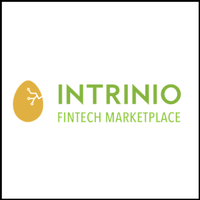 Intrinio lives and breathes fintech. The company joined the Alliance in late 2017 and focuses on making data available, affordable, and efficient to use for everyone from established fintech companies to early stage startups. Their product gives fintech users access to automated data collection and anylsis. Hellow is a Denmark-based social media platform that aims at helping people explore their community through every day, real life adventures. They joined the Developers Alliance in 2017 after learning about us at an event at the IT University of Copenhagen where the Alliance spoke. Hellow is interested in the impact regulation might have on the development of small but fast-growing companies like theirs. Nuzdah is a software services company that focuses on bringing cloud solutions to small and medium business market, as well as app development and platform services. Nuzdah joined the Alliance in 2016 and recently signed a letter with fellow Alliance members raising concerns about creating a fragmented Android market. Businesses like Nuzdah support an open, developer-friendly marketplace that supports innovation. Interested in being a featured member?